The 6th Annual Ed Asner & Friends Poker Tournament Celebrity Night brings together celebrities, friends and members of the entertainment industry to raise funds for the new The Ed Asner Family Center (TEAFC) dedicated to helping differently “abled” individuals with special needs nurture and cultivate self-confidence and to embrace and support their families. More than 300 guests are expected to attend at this year’s star-studded event. #pokerwithed. Past celebrities include Rosie O'Donnell, Don Cheadle, Dylan McDermott, Lou Diamond Phillips, Thomas Gibson, Michael McKean, Elizabeth J. Carlisle, Holly Robinson-Peete, Matthew Modine, Randy Rainbow, Sebastian Bach, Patricia Heaton, Greg Grunberg, Eric Roberts, Ivy Teves, Evan Handler, Maureen McCormick, Roger Cross, Jay Flat, Drake Bell and Rodin Batinkoff, among others. In addition to the Celebrity Poker Tournament, guests will enjoy a dinner buffet, cocktails, silent auction and opportunity drawings. Poker prizes will be awarded for the top three winners. Non-poker players can also join in to watch the poker tournament, enjoy the buffet, cocktails, and participate in the Silent/Live Auctions. Now in its sixth year, the poker tournament is expecting to raise over $100,000. The Ed Asner Family Center is a nonprofit co-founded by the Asner family whose mission is to help those with special needs and their families seeking wholeness in all facets of life. The Ed Asner Family Center not only caters to the needs of the special individual, but aims to embrace the complete family, helping them meet the challenges they face with grace and support. The Center offers arts and career advancement programs after school and on the weekends as well as counseling and mindfulness classes. 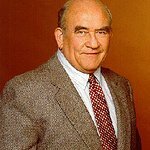 The Los Angeles based The Ed Asner Family Center is the first of many branches nationwide. In the past, the Ed Asner Poker Tournament has raised much needed funds for charitable organizations such as Autism Speaks and The Autism Society of America. Find out more at www.edasnerfamilycenter.org/poker.